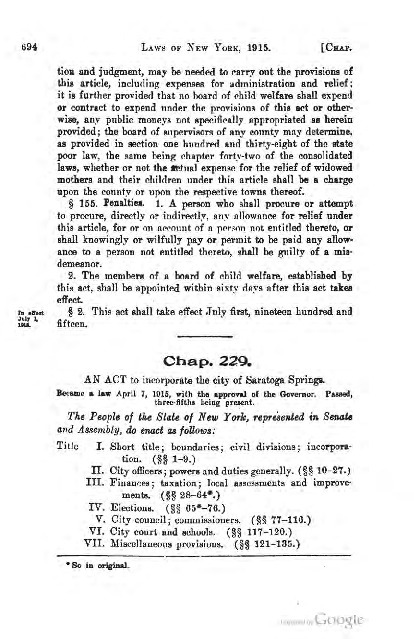 known and may be cited by the short title of " charter of the city of Saratoga Springs." so far as the same are applicable to said city and not herein otherwise specifically provided, to be exercised in accordance with the provisions of this act. 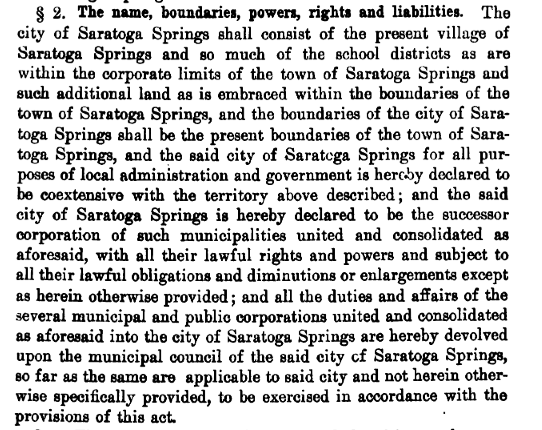 New York (State), “Act of Incorporation, City of Saratoga Springs,” Skidmore Saratoga Memory Project, accessed April 24, 2019, http://ssmp.skidmore.edu/document/109.